Defender Aarran Racine has signed a new one-year contract with Conference side Forest Green Rovers. The 23-year-old has been at The New Lawn since 2012 and his new deal will see him become the club's longest-serving player. 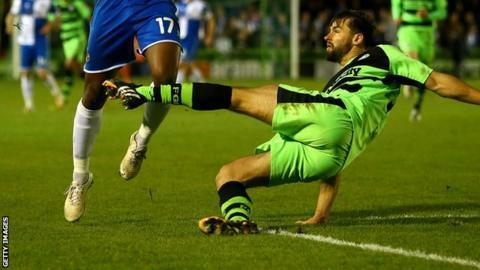 Racine made 19 appearances as Forest Green reached the Conference play-off semi-finals this season. "Our minimum target next year is to get into the play-offs, but we want to try to hopefully win the league," he said.